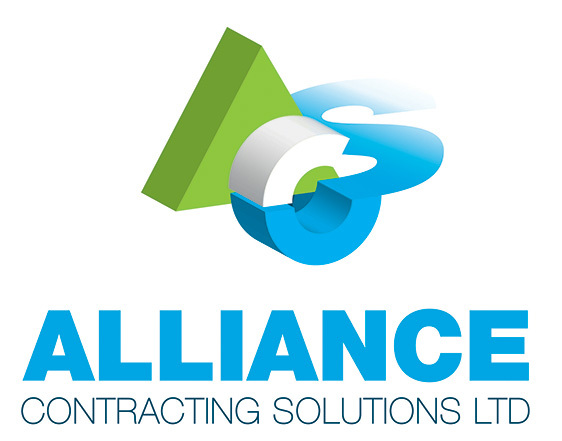 Alliance Contracting Solutions together with Alliance Special Projects Solutions– part of the Alliance Group was formed with the primary objective of successfully establishing a first-class Civil Engineering and Construction service delivery to our clients. The reputation of Alliance has grown rapidly with an array of clients being secured throughout the country. 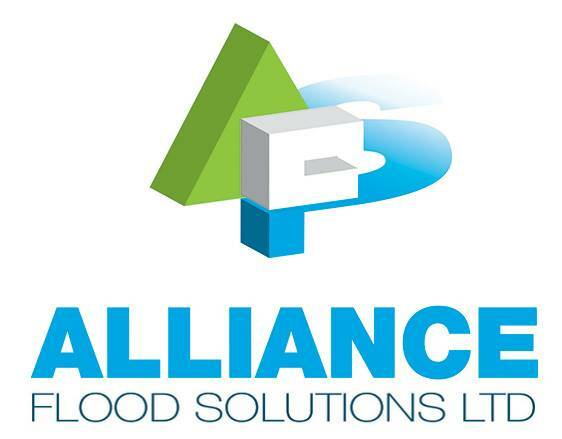 Alliance Flood Solutions’ people have been delivering Survey, Design and Installation services to alleviate or even eliminate the impact of flooding upon private, public and commercial properties for many years. Our clients range from individual, single property owners to major Water Companies throughout the UK; all are equally important. Alliance Consulting Solutions has over 30 years experience in the sector, the company combines innovative solutions with an in-depth knowledge and understanding of the environmental issues facing the industry. Our specialist knowledge enables us to complement our clients’ own skills and resources, and allows us to work with their systems and procedures to achieve a cost-effective and mutually beneficial working relationship. Alliance Consulting Solutions’ strength lies in its dedicated team of employees that has the technical capability to manage all aspects of water and wastewater engineering projects, from pre-feasibility studies through planning, design, procurement, construction supervision to commissioning stages. With over 30 years experience in the sector, the company combines innovative solutions with an in-depth knowledge and understanding of the environmental issues facing the industry. Our specialist knowledge enables us to complement our clients’ own skills and resources, and allows us to work with their systems and procedures to achieve a cost-effective and mutually beneficial working relationship. The company goes the extra mile to ensure that successful project outcomes are always achieved whether the project is small or large scale. Alliance has a substantial range of products and expertise at our disposal. 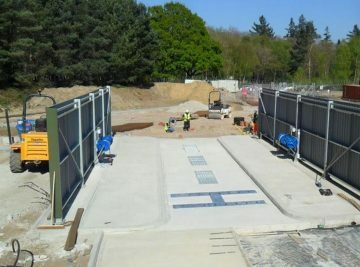 We have developed the Alliance Flood-Resistant Door and the Alliance Flood Gate range over many years and we continue to innovate and deliver first class ideas and solutions. With great emphasis on excellent customer service, due to the very sensitive nature of flooding and its impact upon our customers, we independently source the best flood defence products, concentrating on identifying and utilising the best on the market for each particular application. Alliance Contracting Solutions Limited carry out a wide range of projects covering the built and natural environment, our skills are developed around both highways and drainage works which we have a highly respected reputation for delivering quality work on programme and within budget for our clients. 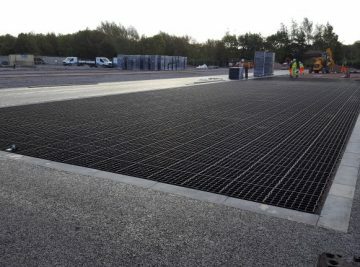 Our infrastructure projects incorporate New Highway Construction, car parks, bridle ways, multi-use footpaths and cycleways, oil water interceptors, hard and soft landscaping, all aspects of drainage, sewerage, water treatment and clean water projects. In addition we deliver repairs and maintenance services on a 24/7/365 basis dealing with highways, drainage, sewerage, clean water, flood incidents, watercourse maintenance including tree and bush cutting on a programmed and emergency response basis. Alliance Contracting Solutions Limited are currently working with a number of local housing developers to construct both housing and local amenities. 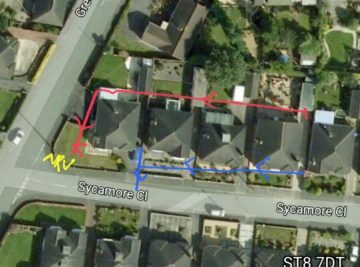 We are carrying out items of work such as initial site strip, all aspects of site drainage including attenuation tanks, oil water interceptors, kerbing, footpaths highway works including 278 works onto the public highway, slabbing and landscaping works. Alliance Contracting Solutions Limited has also recently been appointed as groundworks contractor for Nottingham City home who have a rolling programme of building new council housing to replenish their current housing stock. 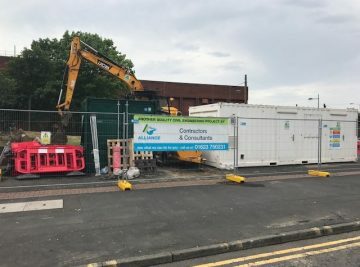 Alliance Contracting Solutions Limited carry out Clean Water Repairs and Maintenance for above and below ground Assetts, including Fire Fighting mains for a number of high level clients on the West of the UK. 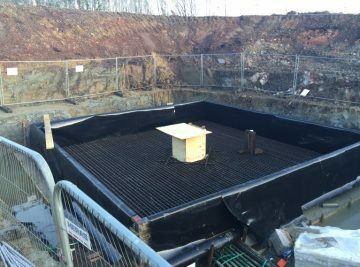 As we are also employed by the coal authority on a number of 5 year frameworks to manage the initial response for making safe possible collapsed mine workings in both rural and residential areas. Following the fencing off of the affected area in a safe manner by Alliance, The Coal Authority undertake investigation to prove if it is in fact old mine workings and if proven, risk assessments of the reported surface hazards, The Coal Authority design the permanent solution, which Alliance subsequently constructs. We undertake work to accredited and award-winning standards using our own safety critical in-house labour supply and plant equipment, and have a track record of delivering on complex projects in the area of design, construction, maintenance and renewal. Alliance group undertake civil engineering work in many environments including heavy industry, roads, rail, water authority, rivers, car parks, general industry and all forms of commercial and public enterprise. Alliance Group Solutions Limited are a highly skilled, specialist group of Civil Engineering companies specialising in all aspects of home, business, civil and bespoke engineering projects. Alliance are keeping it clean!